I’ve been beavering away on the keyboard, watching TV and chatting to Julia (made possible by the absence of Number One Son doing a double shift) and I nearly forgot to post. These are some photos from yesterday afternoon at Clumber park. I like the park, it’s just the service in the cafe I’m not keen on. I may have mentioned that. The study of Japanese poetry must be rubbing off on me – crows in dead trees are pretty standard in haiku. So are herons. I’m going to do my bit by making robins into a cliche too. They are great subjects, particularly as they come right up for a look at the camera. I would have had more bird photos but a pair of pensioners drove up and started throwing bread into the lake – attracting all the birds and filling them up with low-grade food. This entry was posted in Bird Watching and tagged Clumber Park, crow, dead tree, haiku, heron, robin on January 22, 2019 by quercuscommunity. Written by Xenia Tran, who may be better known to users of WordPress as the author of Whippet Wisdom. First, a disclaimer – my Kindle only does black and white so I can’t tell you what the pictures look like in colour. They are good, dynamic shots in monochrome, so I expect they will be as good or better in colour. There are 59 poems in this book, which makes it a proper collection, with an identity and a life of its own. A lot of the books I’ve bought recently have been a bit sparse to say the least and have failed to pass this test. My initial reaction on reading the book was that the haibun and longer poems were the best parts and the haiku were, surprisingly, trailing behind. I’ve re-read the book twice and revised my opinion slightly – I still think the haibun and the longer poems (up to 44 words) are the best of the book but the haiku are looking a lot better now. I think this was probably a case of it being easy to overlook haiku when there are more substantial pieces to read, and when you are keen to read it to the end and see what it contains. A slower re-reading gives the haiku more chance to work on the reader. To be fair the real point is that I should read more slowly, rather than that the haiku are at fault. So there you go, a good read and much better than the average offering. I’m looking forward to the next book now. There is more information here if you want it. 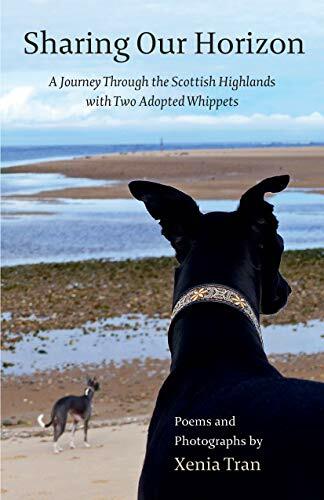 This entry was posted in Book Review, haibun, poetry and tagged collection, haibun, haiku, Sharing Our Horizon, short poems, whippets, Xenia Tan on December 31, 2018 by quercuscommunity. Haiku Challenge – Day 79 – Just 3 Weeks Left! I’ve been plugging away at it for 79 days now, and have written well over 800 haiku, spread between three notebooks – upstairs, downstairs and in the car. You can’t afford to waste inspiration, and I’ve often done the daily ten whilst waiting in the car for Julia. 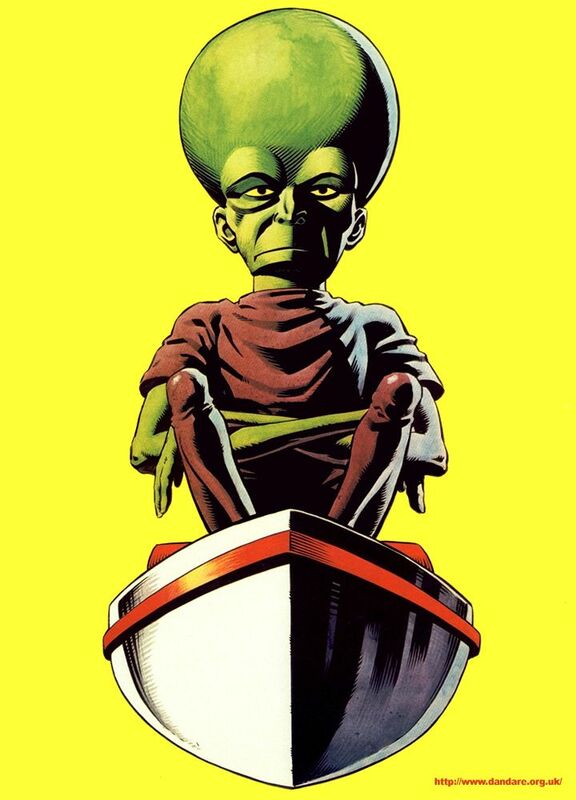 As a result I swear my brain is getting bigger and I’m beginning to resemble the Mekon. Well, not in all respects, I’m not clean-shaven and I don’t sit in a levitating lifeboat. I will probably have to start eating fish to power all this extra grey matter. In terms of enthusiasm I’ve moved from being happy with my newly developed facility for haiku writing, to being addicted, to hating them and back to happiness. In terms of quality, I’m embarrassed to admit that 775 of the 800 I’ve written are not very good. On the other hand, the remaining 25 are better than anything I’d written before I started the challenge, so it has done some good. There is an editor on one of the magazine websites who is very critical of people who write haiku in “industrial quantities”. That’s me he’s talking about. At one time I was depressed at the thought, but now I’m happy with it, as I have definitely improved despite my “industrial” approach. It’s hurt at times but I think the learning has been good for me in the end. I got myself back into writing by buying a diary and writing something every day for a year (which I nearly accomplished) but the high intensity of ten a day for 100 days is a much more intense learning experience. Of course, telling people about it to ensure it happened was a good idea, as I’d have given up weeks ago if it wasn’t for that. I’d also make sure there was plenty of nature to see – 100 haiku featuring fallen or brown leaves can be a bit wearing. If I ever do this again I’ll choose a different time of year and do more walking. The other thing I would suggest is that you should keep your haiku properly filed or indexed. I have 800 free range haiku and no prospect of ever getting them sorted. That’s it for now – the next news on this will be in 21 days. This entry was posted in poetry and tagged 100 days, 1000 haiku challenge, filing haiku, haibun, haiku, learning, three weeks to go on December 27, 2018 by quercuscommunity. I am still managing ten vaguely haiku-like verses a day. My problem at the moment is tiredness and lack of subjects. I’m not able to much nature at the moment and crows, bare branches and yellow leaves can get boring in the end. If I’m bored it’s likely that readers will be bored too. The haibun are not going ell either – I’ve written a few but can’t seem to edit and finish them. It’s not easy finding the time to write as my normal quiet time is after 10 pm and at that time I’m mainly driving Number Two Son to work. Then I try working at midnight, fall asleep in the chair, wake cold, sleep badly, feel tired all the next day and feel guilty at my lack of achievement. As for the posting challenge – I’m having to resort to quick posts to ensure I manage something each day. Short, quick posts like this one. I must take stock of my life and my writing. Off to take Number Two Son to work now. Today at work we discussed starting a tribute band to take account of our various talents – and so OCD/C was born. You have to write it like that to make it more obvious. We all laughed at it, though the customers mainly looked blank at us. This entry was posted in Uncategorized and tagged challenges, haibun, haiku, introspection, lack of quality, OCD, poor routine on November 23, 2018 by quercuscommunity.